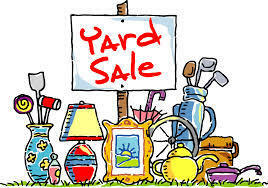 Marengo United Methodist Church will be hosting its annual Yard Sale June 25, 26, & 27. It is one of the largest, if not the biggest, sale in Morrow County. The hours are Thursday from 8:30 am to 6 pm. Friday 8:30 am to 4 pm and Saturday 8:30 am to 12 pm. Saturday will be our BAG SALE. It is where you purchase a bag and this year whatever clothing you put into the bags is yours. All other items will be at half price on Saturday. Around 200+ families donate to this worthwhile project for the church. Items, such as, housewares, children and adult clothing, linens, shoes, baby items, and so much more can be found in the air conditioned Family Life Center. Across the street you will find furniture, large appliances, sporting goods, and tools. At the end of the sale items are then given to Heart Beat, Good Will, and International missions. Please come and join us. Food and beverages are also available.